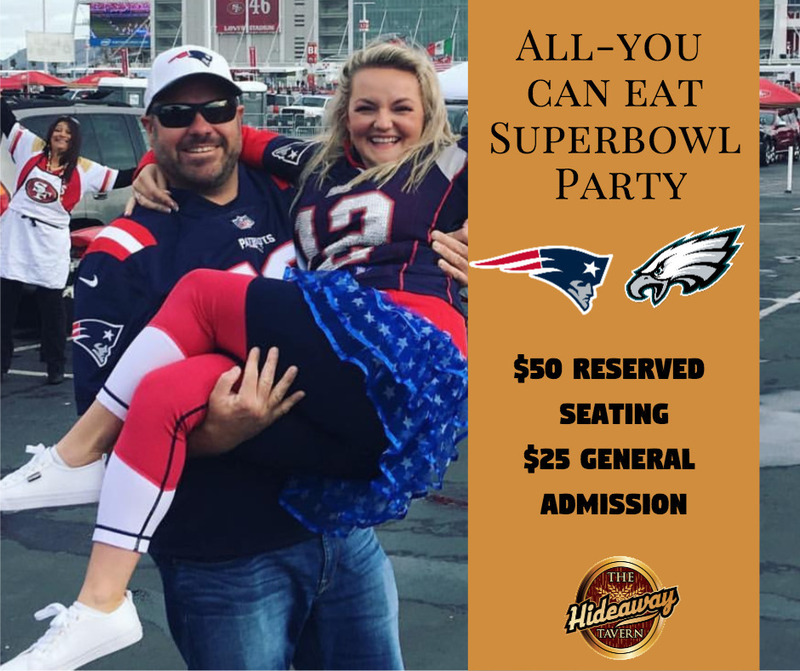 Join us Feb. 4th from 1pm until the end of the game for an ALL YOU CAN EAT SUPER BOWL PARTY! ***NO ONE GETS IN WITHOUT A TICKET!!! *** Once they are gone, they are gone! 1) A SPOT ON THE BOARD. 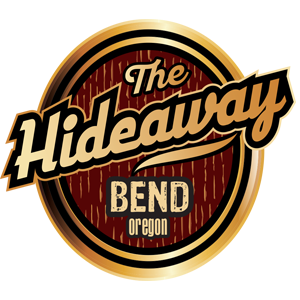 Pays out in Hideaway Gift Cards -Valid as of 2/5/18. $100 1st, 2nd, & 3rd quarter. 2) ALL YOU CAN EAT Food! Buffet-style assortment of gourmet pizza, sliders, salads and appetizers, served all day. 3) ENTRY INTO RAFFLE DRAWING. TONS of prizes like t-shirts, hats, growlers, Vic champagne, and lots and lots of various other swag! 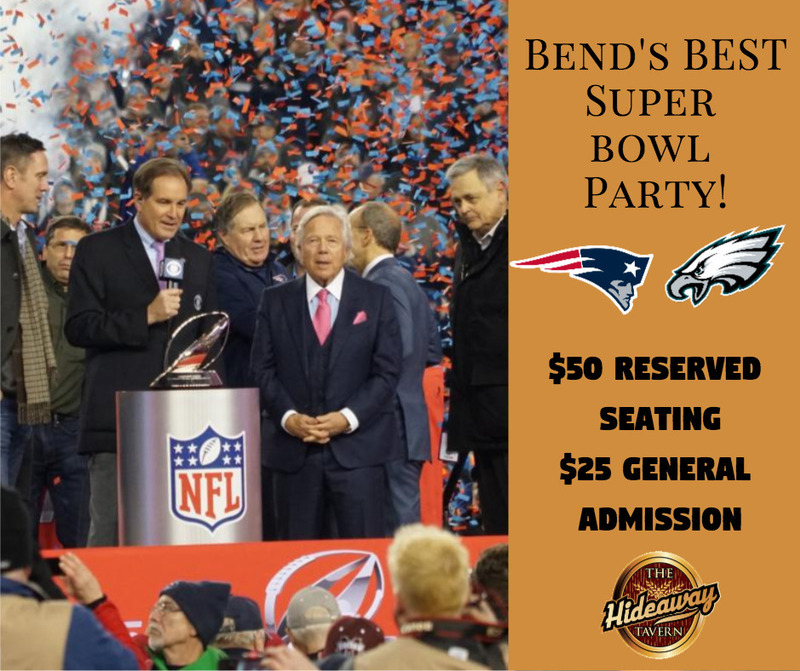 AWESOME GRAND PRIZE 55" 4K TV plus one Eagles and one Patriots Super Bowl LII jersey!!! EVERYBODY GETS STUFF! 4) Special Prizes â€“ SB LII Team related prizes for people wearing Patriots and Eagles swag! Call to reserve now before the event sells out!